The Galowich Family YMCA is adding more Group Fitness opportunities during Fall Session 2, which is set to begin Monday, October 1. 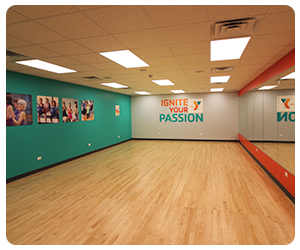 YMCA Members can preview these new offerings early, between September 25-28. As a reminder, these classes are FREE with a YMCA membership! Tuesday, September 25, 6-6:30 p.m.
Wednesday, September 26, 6-6:30 p.m.
Thursday, September 27, Noon-12:30 p.m.
A full-body cardio jam session of a workout inspired by drumming. Participants use weighted drumsticks that are engineered for exercise to burn calories and tone while rocking out to popular music. Thursday, September 27, 9:30-10:10 a.m.
During this cardio-focused class, participants will use a large Swiss exercise ball to add strength and toning elements to each workout routine. Thursday, September 27, 6-6:30 p.m.
Friday, September 28, 8:50-9:20 a.m.